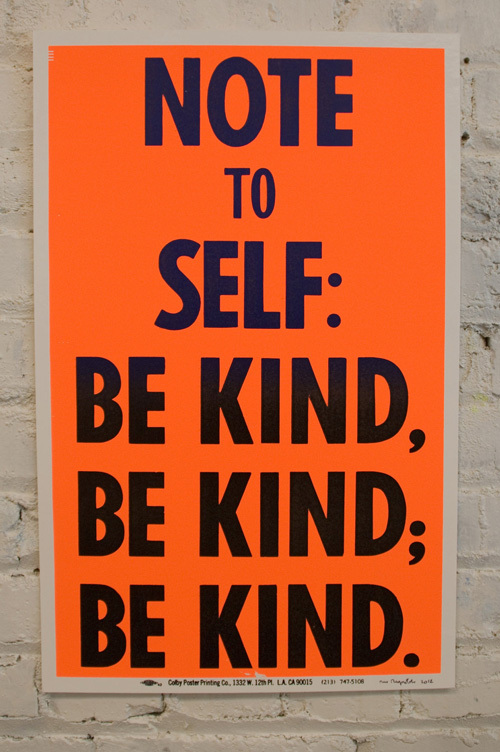 This print by Rob Reynolds is applicable to anyone who lives in the world: Note to Self: Be Kind, Be Kind, Be Kind. 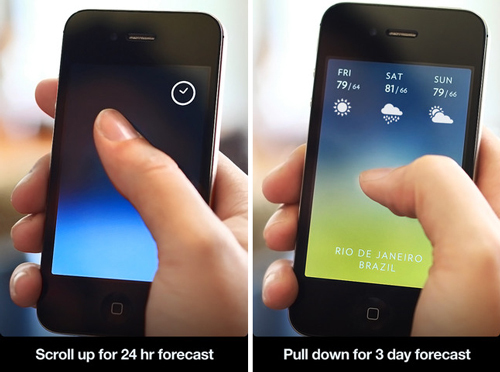 Solar is a brand new (launched yesterday) weather app for the iPhone with a gorgeous user interface. 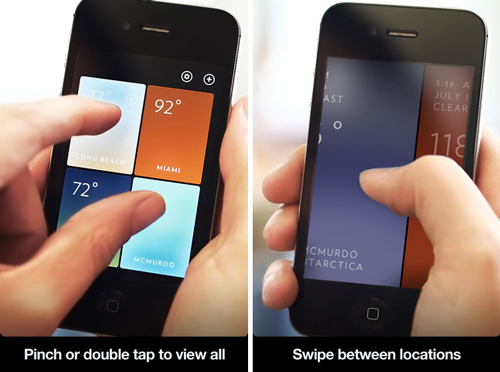 This is an app where a talented designer was clearly involved (not every app can claim such a feat). It’s a very simple app, really. 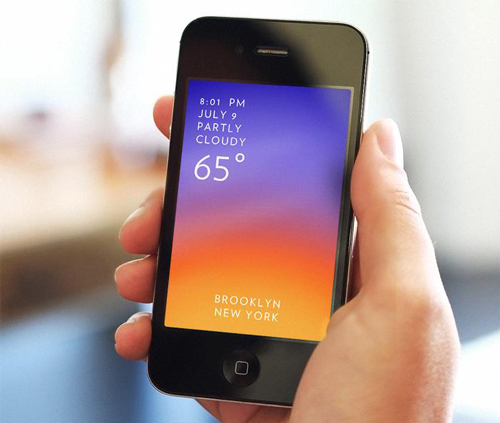 Just dreamy colorscapes that change with the weather with 24-hour and 3 day forecasts. 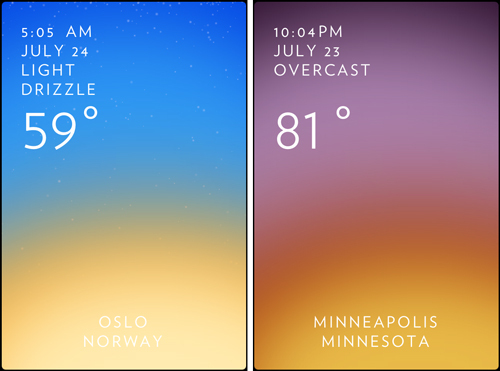 The coolest feature, however, is when you swipe up you can fast forward in time to pinpoint the time in the 24 hour forecast you’re looking for. This app won’t change your life or make qualified to be a storm chaser, but it is a gorgeous way to see if you need to bring an umbrella to work tomorrow. 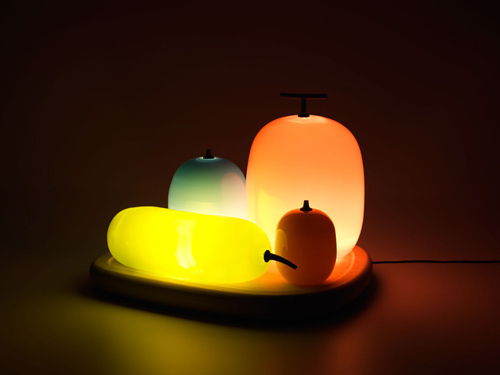 Buy it in the App Store for $0.99. 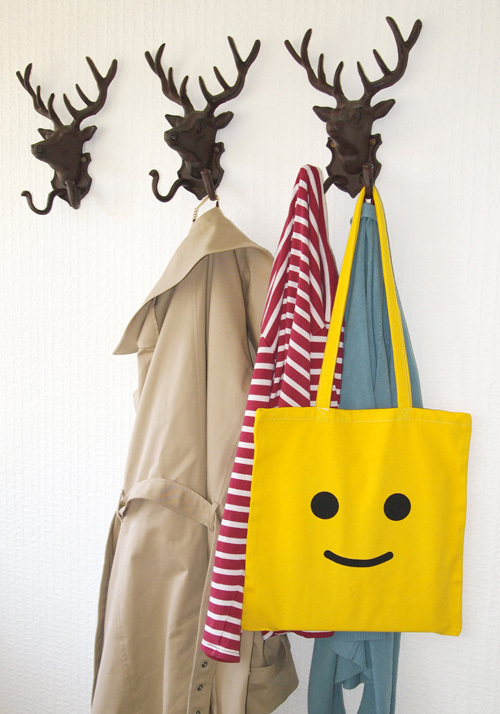 This canvas tote bag that looks like a Lego guy’s head is so great. It’s so simple, but so iconic. I can imagine a cool t-shirt with this design too. Pick up one of these tote bags from Mark Errington’s Etsy shop for $18.50. 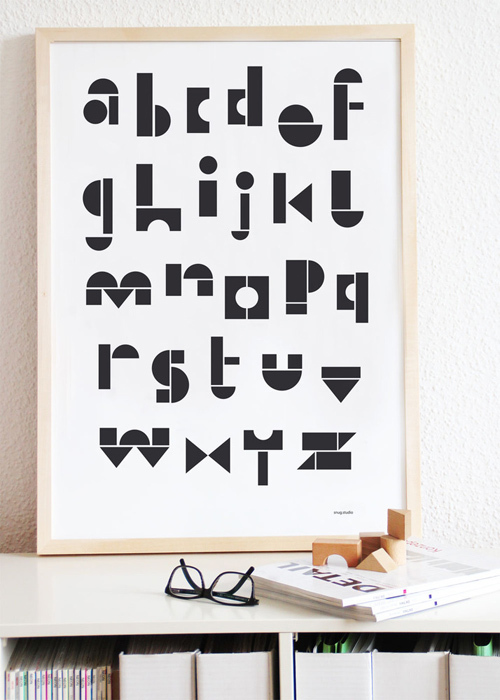 It’s hard for me to pass up a good alphabet print! 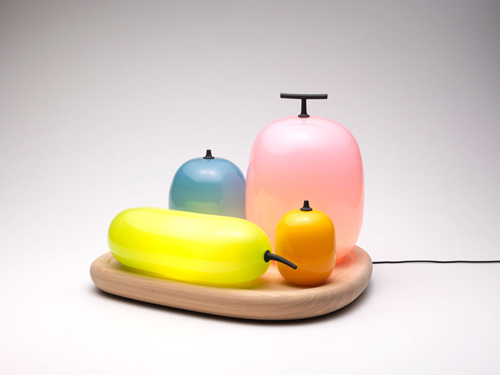 I am really digging this one by Snug where the letters are made to look like toy wooden blocks. Simple but fun. 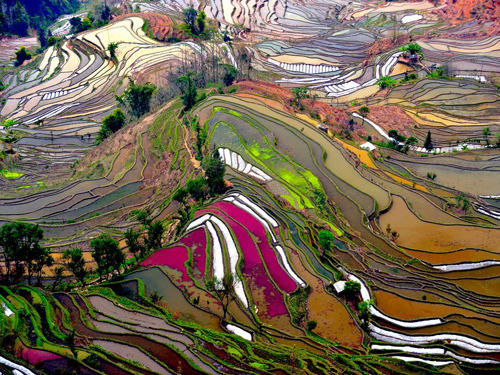 I’m loving this photograph of a terraced rice field in Yunnan, China. I’m very curious to know what makes all the different colors… Photograph by Thierry Bornier. 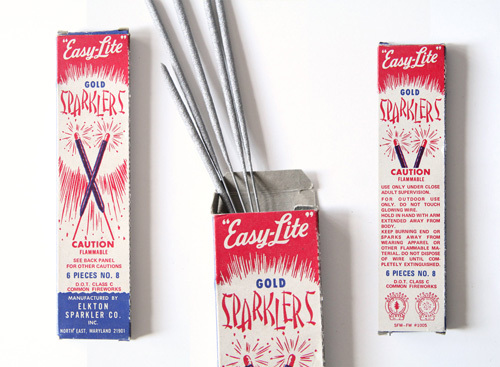 Tomorrow is Independence Day here in the U.S., which means that the air will be ripe with the smell of sulfur from fireworks and sparklers. I’m bummed that the holiday falls in the middle of the week this year but that’s the way it goes. 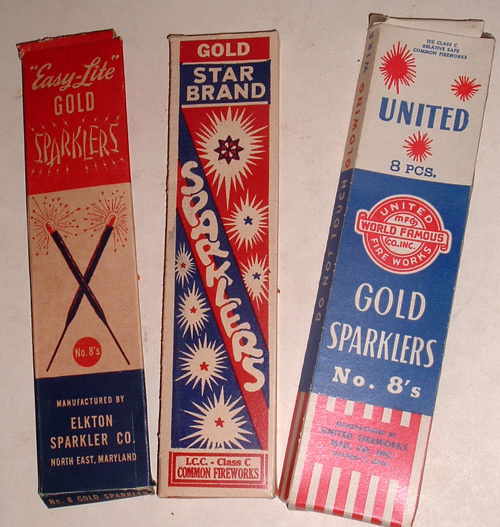 To celebrate the upcoming holiday, I decided to share some vintage sparkler packages I found on Etsy. I am a sucker for vintage packaging, what can I say? 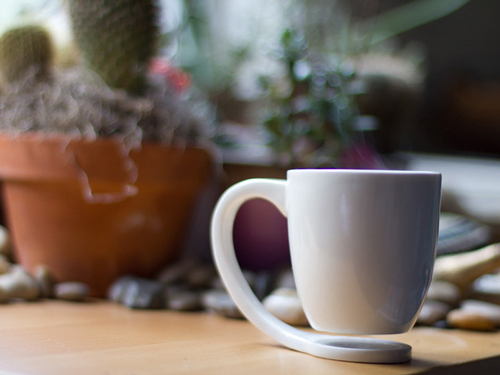 How cool is this floating mug by Tigere Chiriga? Back Chiriga’s Kickstarter project and you’ll get it for a pledge of $30 or more (this Kickstarter only needs to raise about $2k to reach it’s funding goal and there are 29 days left…I think it’s safe to say this will get funded).